The Adriatico has been part of the Trasmediterranea fleet since 2015. 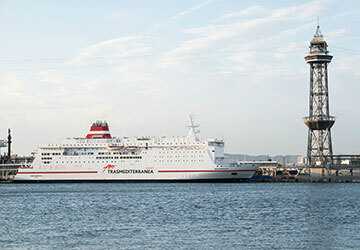 The recently acquired vessel can carry up to 1320 passengers and 120 vehicles during each of its crossings. The spacious ship is nearly 165 metres long and 28 metres wide, giving those onboard plenty of room to roam. 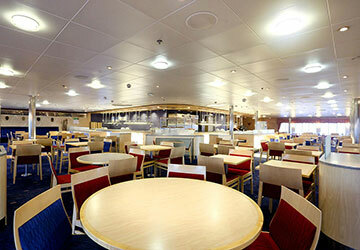 Cabin accommodation is available and shops and bars provide plenty to help your crossing pass in an instant. There is also a kennel to house your furry friends and keep them comfortable while you travel. 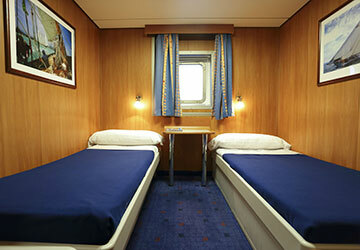 Tourist cabins are available aboard for those who want that little bit more relaxation during their travels. There are bathroom facilities as well as comfortable beds for those who choose a private space whilst sailing. 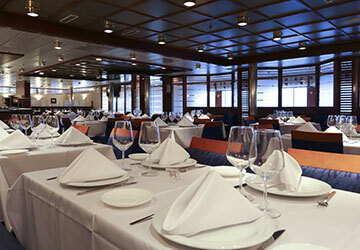 You are bound to be impressed by the facilities on board the Adriatico as it contains a variety of different eateries and bars. 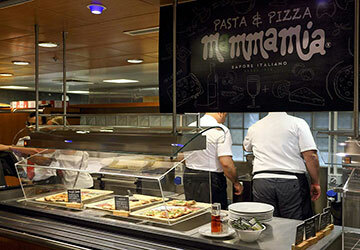 This includes a self-service restaurant with an extensive range of varying cuisines and an ever changing daily specials menu. The shopping facilities provide you with a chance to get your hands on some duty free goods. The usual magazines, books and puzzles are also in stock to help while away the hours during your voyage. 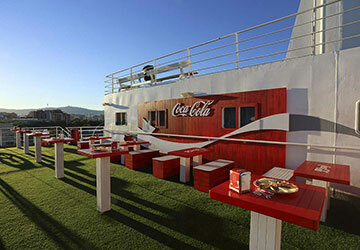 There are some fantastic extras on board this modern ship. Kennels are available for those commuting with their four legged companions. There is also a solarium for you to admire the sunny Mediterranean skies. 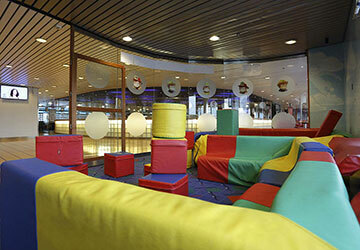 A soft play area is provided for those younger passengers who need to be kept occupied. There is room to run about and use their energy whilst making the crossing. Please Note: Whilst we have taken great care in making our Adriatico guide as accurate as possible, onboard facilities, services and entertainment may vary depending on the date and time of year that you travel, facilities mentioned may change without notification and ferry companies reserve the right to operate vessels other than those mentioned at time of booking without prior notification.